It encourage the development of the periodontal membrane from the time the baby’s primary teeth first emerge. Pack Size : 1 teethers in one box with various different design . All Babies are very innocent & cute they show their happiness by playing & laughing. During playing they like to put things in their mouths so that they can enjoy with this. This is a natural reflex of growing baby. Chewing or biting on different materials , stimulates the periodontal membrane under the teeth & this influence the stress distribution over teeth restored. So to reduce stress in baby during jaw development PIGEON brought PIGEON teethers for baby which are designed to stimulate babies’ senses and promote natural jaw development. When a baby holds something with their teeth, then periodontal membrane gauges the force being applied to the upper teeth. The periodontal membrane are sensitive enough to judge the consistency and elasticity of food material. The periodontal membrane play very important role to connects the dental roots and the alveolar ridge,which holding the teeth in place. It also absorbs shocks to the bones by moving upwards and downwards whenever a person chews. 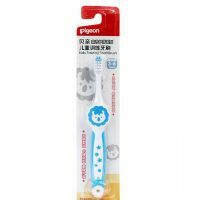 Pigeon teether has ideally shaped & size according to baby’s mouth. 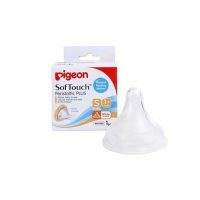 The wide handle of the Pigeon teether have the perfect thickness & grip for a baby’s small fingers to grasp securely. This encourage the development of the periodontal membrane from the time the baby’s primary teeth first emerge. 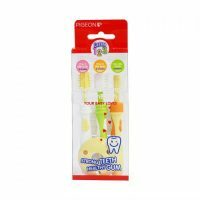 When baby starts teeth, then teether can help to soothe baby’s gums. It contains safe, sterilized water. This can be used as a toy from three months old. To grasp baby attention this is available in fun designs circle, square, triangle, piano, guitar, trumpet, star, duck, flower. Pigeon teethers are ideal for reducing stress during jaws development in all baby. It is safe for baby health. Pigeon teethers wide handle is very easy to hold and grip. It contains sterilized water inside so this is good for health. NOTE: Do not put in the freezer.